How is limited public transportation in Essex County affecting our communities? Essex County isn’t the easiest place to get around, especially if you don’t have a car. Public transportation is limited, with the central part of the county not served at all. While congested roads and busy rush hours can be a troubling inconvenience for many, the lack of reliable transportation can have an even bigger impact on the lives of low-income people, who may not be able to access jobs or the education they need to enter the workforce. While 11% of Essex County households did not have a vehicle in 2013-17, comparable with the state (12%) and nation (9%), the figures were higher in the cities of Lawrence and Lynn – 24% and 22%, respectively. 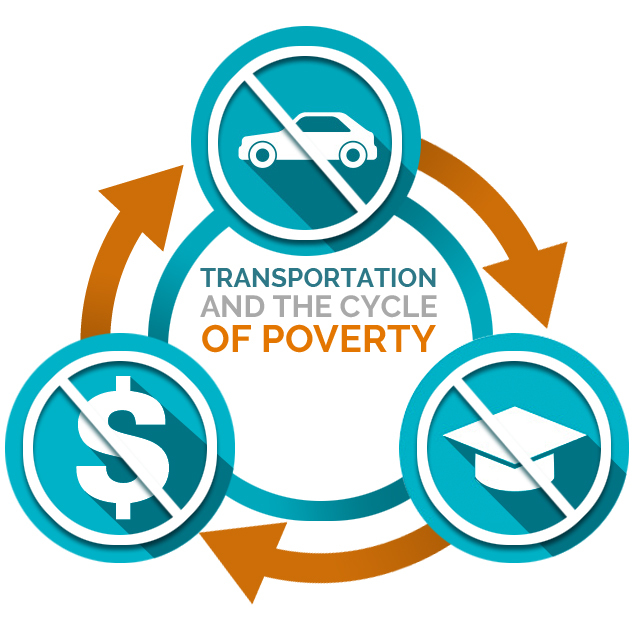 Can access to transportation help break the cycle of poverty? Overall, Essex County has a highly educated adult population, with 39% of people 25 and older having a bachelor’s degree or higher. In the poorer cities, the college-educated population is lower: 11% in Lawrence and 20% in Lynn (figures for 2013-17). If one needs a job to earn the money to get a car, but needs a car to get the education needed for a job, poverty can become a vicious cycle. Access to public transportation that can reliably move people to economic and educational opportunities may be one way to break that cycle. In what other ways does limited access to transportation impact quality of life? In addition, transportation difficulties affect other aspects of quality of life – making it harder to get health care and other types of services, participate in civic activities and community events, and take advantage of the open spaces that help make Essex County a great place to live. Solving the county’s transportation dilemma could be a high-impact community improvement strategy.